Since Wednesday evening, over 150 rockets have been launched at Israel from Hamas-led Gaza. Five people have been wounded since the barrage of rocket fire started. As Israel readies itself to take strong action against Hamas, Jewish organizations in the US, including the Birmingham Jewish Federation’s national organization Jewish Federations of North America (JFNA), are preparing to support the Jewish state. JFNA’s Israel office has been working together with local Federation representatives and other partner agencies to identify pressing needs in communities on the southern border for which remaining fire emergency funds have now been allocated. Monies were made available for trauma relief services for residents and first-responders, a Jewish Agency camp for at-risk children and to bring American firefighters to volunteer alongside Israeli firefighters on the Gaza border. Other Federation-funded programs, established with emergency dollars in the aftermath of Operation Protective Edge, are in place which support the resiliency of civilians living in towns near Gaza, providing real-time comfort and assistance during this tense period. JFNA’s Israel office has emergency protocols in place and stands ready to respond on behalf of the Federation system in the event of a further escalation. While JFNA is working hard to help communities in need, the American Israel Political Affairs Committee (AIPAC) is encouraging us to contact our elected officials about the current situation in Israel. There are two tangible ways that our elected officials can help right now, according to an email from AIPAC. 1. Click here to urge your representative to support the bipartisan US-Israel Security Assistance Authorization Act, which authorizes $500 million in cooperative missile defense funding for programs like Iron Dome. This vital aid helps protect Israeli in confronting these relentless rocket attacks. 2. Click here to urge your senators to cosponsor the bipartisan STOP Using Human Shields Act. Hamas launches many of its rockets from Gaza’s civilian areas. This bill mandates sanctions against members of foreign terrorist organizations responsible for the use of human shields. The AIPAC email also noted that early this morning, terror groups in Gaza appeared to announce a ceasefire. 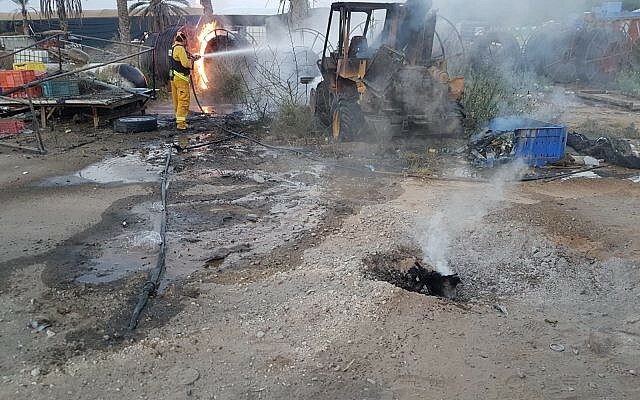 However, soon after this was announced, a longer-range rocket from Gaza landed 25 miles into Israel in the city of Be’ersheba — the first rocket attack that far into Israel since 2014. This is the latest in a series of escalations. Last weekend, Hamas used arson kites and balloons to ignite 40 more fires in southern Israel. And on Tuesday, Hamas snipers targeted Israeli soldiers along the border — the same type of assault that killed an IDF officer on July 20, according to AIPAC. The Birmingham Jewish Federation remains dedicated to the safety and security of Israel and its citizens. We will keep our Update readers apprised of the situation as new developments occur. Click for an article on the situation from the Times Of Israel.